Last week, I wrote about the first five steps to creating a culture capable of effectively defending against modern threats. This week, I'll take you through the next five steps. Let’s dive right in. The best defense against modern cybersecurity threats is not based on technology at all. While there’s currently a great deal of focus on Artificial Intelligence (AI), good-ole human intelligence is the secret ingredient. 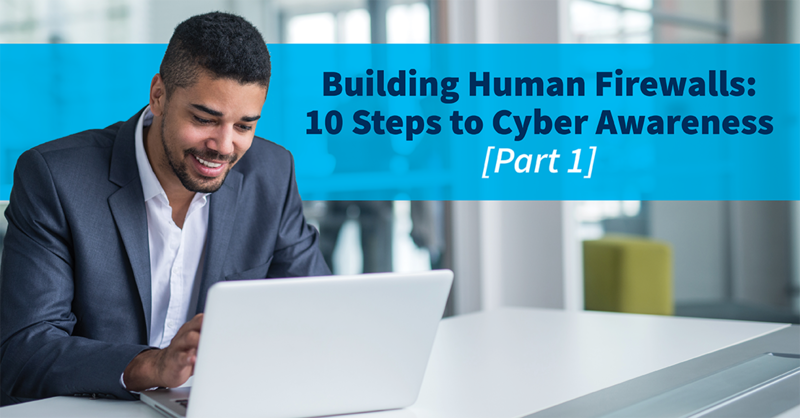 To effectively prevent your organization from falling victim to cyber attacks, it’s essential that your employees develop strong cyber instincts. We constantly coach customers on the idea that the strongest firewall you can own is a resilient, human firewall. The statistics are staggering: spear phishing accounts for 95% of enterprise network attacks, according to the SANS Institute.